For those customers who prefer to exchange a particular trailer bearing cargo for a different trailer or truck, JMB Express Trucking is happy to provide drop and hook services. We can arrange for specific trailer models according to city, region, or state, depending on the nature of the cargo being transported, and choose the most qualified driver or company to provide the service. By adopting a drop trailer program, shippers and carriers can finally gain independence and be able to work as a team. With a drop trailer program, a driver will bring their tractor to the shipper and pick up a loaded trailer. The drop and hook services compound on that by creating a trailer pool at both shipping and receiving points. A driver going to pick up a loaded trailer will arrive with an empty trailer, pick up the loaded trailer and leave the empty one. 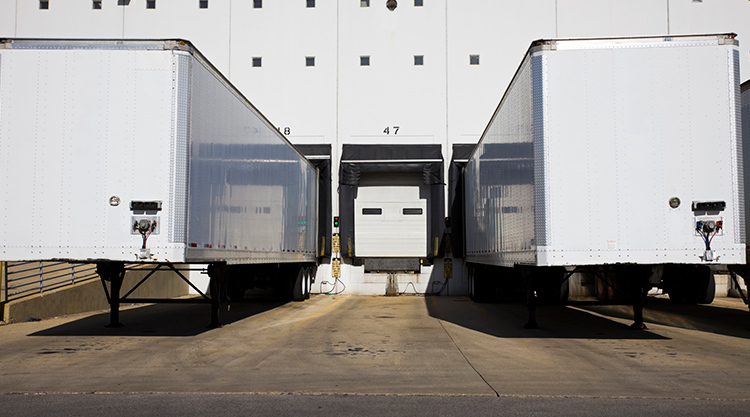 This cyclical process ensures that there are always readily available trailers to be loaded, making the entire shipping process more convenient and further streamlining the supply chain. For many shippers, the days of live-loading trailers, missing appointments and delivering late are over. Developing drop trailer programs and drop and hook services revolutionizes the way shippers and carriers interact. Giving each the freedom to carry out their responsibilities independently, drop trailer programs streamlines the shipping process and ultimately leads to more on-time deliveries.